Scale: 1:96. 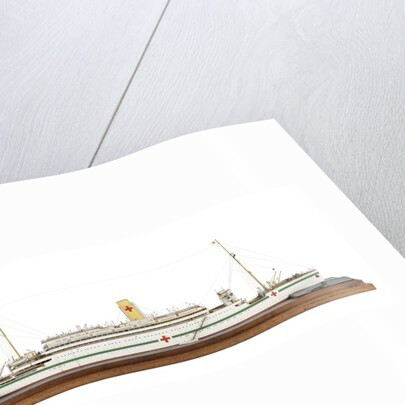 Waterline model of the 'Atlantis' (renamed in 1930), originally named 'Andes' (1913), a hospital ship (powered). Model is decked and rigged. Plaques inscribed "'Atlantis' Triple screw 15135 tons gross Built at Harland & Wolff Ltd as 'Andes' for the Royal Mail Lines Passenger and Freight Service to South America. Commissioned 1915 as armed merchant cruiser and joined the 10th cruiser squadron Refitted 1920 and rejoined the Royal Mail Lines fleet. 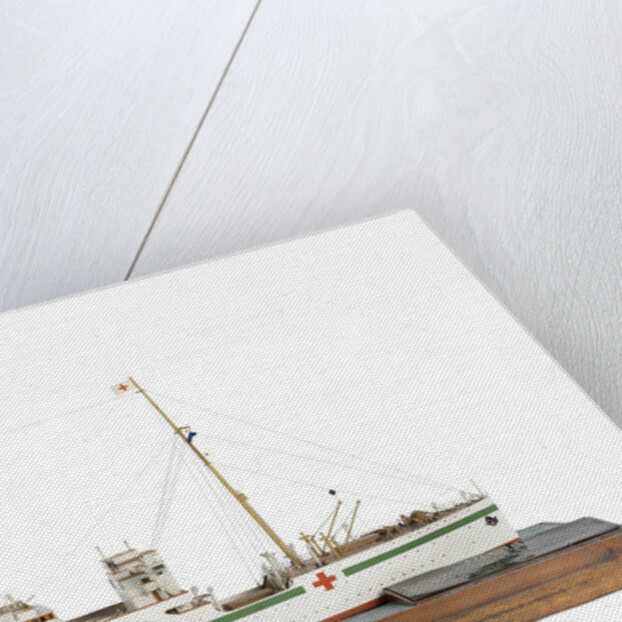 Converted 1930 for pleasure cruising - the largest vessel in the world solely devoted to cruising Requisitioned 1939 commissioned as a Hospital Ship. 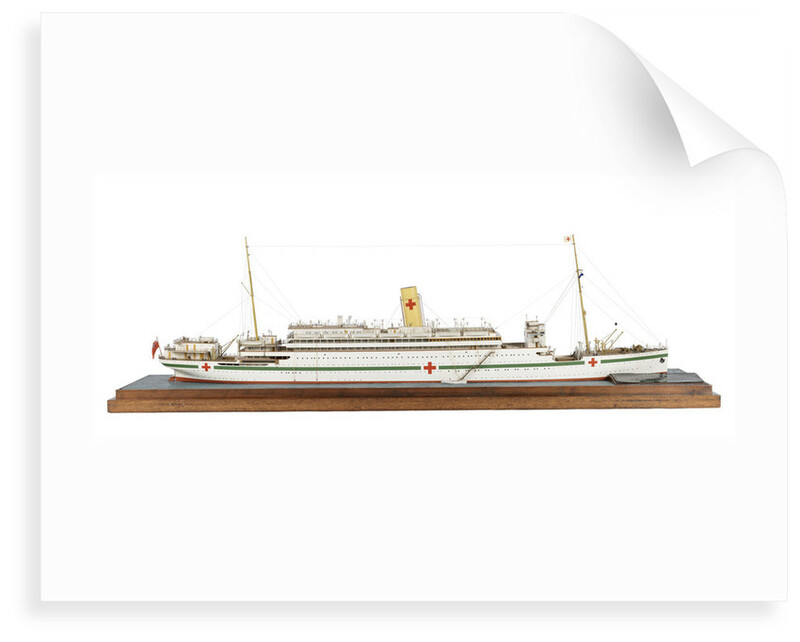 Model presented by Royal Mail Lines to the National Maritime Museum." and "Model by Bassett-Lowke Northampton". More by the artist Bassett-Lowke Ltd.